In order to maintain an active certification status and to satisfy CPD program requirements and, once you are certified to any level, you must earn Continuing Education Units (CEUs) through carrying out activities that will improve and broaden your skills and personal development. As long as you are able to evidence that you have earned the right number of CEUs for your certification level, the APMP will continue to endorse your achievement. If you are certified, at any level, after 1 January 2007, the two year period begins on the date you pass at that level, and ends on the second anniversary of the certification date. If you achieve a higher level of certification within the two-year period, the requirement to earn the appropriate number of CEUs in a two-year period begins again. The table below shows how many CEUs are required at each certification level. 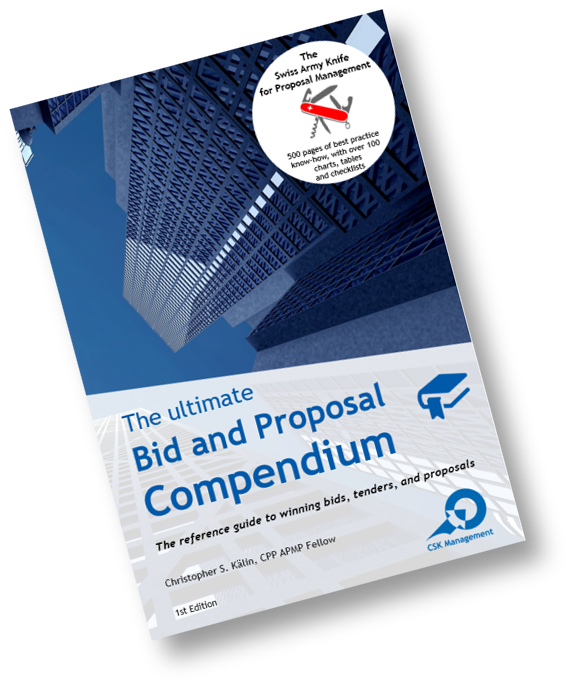 CEUs are usually rather easy to collect as long as you work in a bid and proposal environment. Members are monitored on a two-yearly cycle on a random basis. The International Standard for monitoring requires that the random testing of evidence should cover more than 60% of members who have achieved certification at each level. We recommend to keep a simple log in an Excel file, or to log the activities on the APMP website www.apmp.org (after the login, select „Manage Profile“, then „Certifications“ under „Content & Features“). Here you can manage comfortably your CEUs. The effort to manage your CEUs is usually less than an hour per year.